This is something of a rarity for me- a conversion that requires a significant amount of plastic cutting. The base kit is Eduard’s Tempest Mk. V, which had an inline engine. 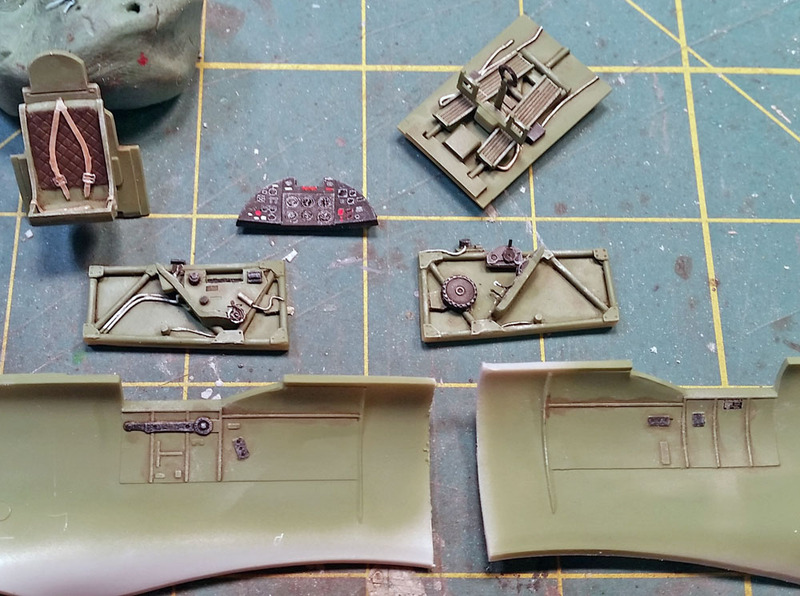 The conversion is a Paragon resin cowl and wing insert set that will convert it to the radial engined tempest Mk. II. The cockpit is from the Eduard parts, and is very detailed. The jury is still out on how well it will fit into the fuselage, but so far, it’s looking pretty decent.